I'm almost finished with Stormy's Radio Thing. 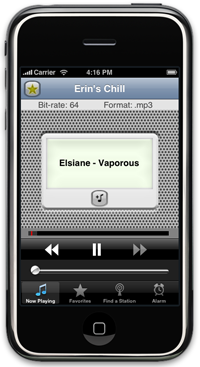 Just have some tweaks of the user interface and then it should be ready for submission. Hopefully I'll have some free time to finish it this week. Since it's a free app, I'm working on it with any spare time I might have between my paying iPhone jobs. 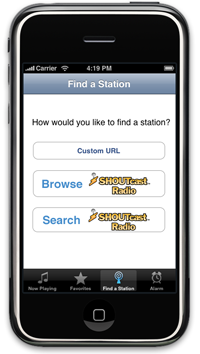 This will be a free radio app which allows playing any custom stream URL and also supports browsing and searching the complete Shoutcast directory of thousands and thousands of stations. And, again, I should stress, it will be completely free of banner ads. 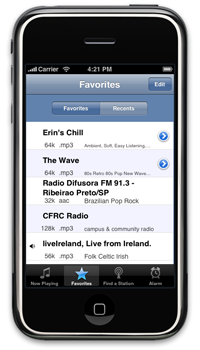 Radio Paradise app 1.6 - finally approved!